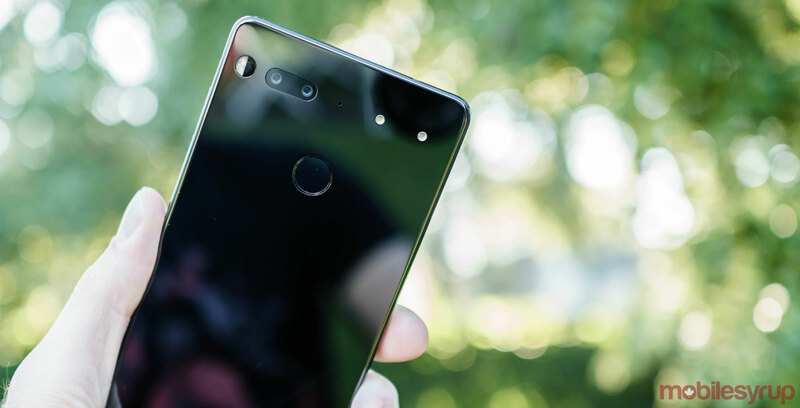 The Essential Phone has sold only around 5,000 units through exclusive carrier partner Sprint in the U.S., according to market analysis from BayStreet Research. The firm expects to publish a full report on its findings, including estimates about unlocked purchases, on October 5th, but for now it has released estimates about Sprint sales via an article with Fierce Wireless. In a phone interview with MobileSyrup, Cliff Maldonado, founding partner and senior analyst at BayStreet Research, said 5,000 units sold might even be generous according to his firm’s estimations. “I wouldn’t be surprised if it was even lower,” said Maldonado. According to the analyst, the company uses a “mosaic” approach when gathering information for its estimates that includes calling official and dealer Sprint locations and using a “mystery shopper” approach. Maldonado says his six-person team communicates with other links in the production and sales chain, as well. When it comes to securing information about purchases of the device outside of Sprint, Maldonado says information is sourced from data partners that include app developers — though, as previously mentioned, the firm is still compiling that data. 5,000 units through carrier sales, if accurate, is of course far below the averages of major players like Apple and Samsung, which sell tens of millions of units per quarter, in large part through carriers. What’s more, the number sold by Telus, Essential’s exclusive partner in Canada, is likely much smaller, considering the size discrepancy between Canadian and U.S. mobile markets. Maldonado says his firm’s estimates shouldn’t be shocking. Still, if the sales estimates are true, Essential may have a difficult time finding partners for its follow-up effort, and it’s time as a ‘unicorn’ valued at over a billion dollars may get cut short. MobileSyrup has reached out to Essential for comment.